The state Department of Correctional Services would be required to develop an accelerated release plan for inmates under a bill heard by the Judiciary Committee Jan. 17. 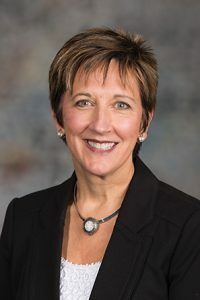 Introduced by Lincoln Sen. Patty Pansing Brooks, LB841 calls for an accelerated release plan to go into effect if the department is operating at 140 percent of capacity on July 1, 2020. The plan would remain in place until the inmate population reaches 125 percent of capacity. Pansing Brooks said having a plan in place for an emergency declaration would ensure that any accelerated release would be done in a safe manner for both parolees and citizens. The plan would provide a process for the department director to certify that an overcrowding emergency exists, prepare and submit a list of parole-eligible inmates to be considered for accelerated release and develop a process by which the board of parole would examine inmates for potential release. Spike Eickholt testified in support of the bill on behalf of the ACLU of Nebraska. He said the state has never used or implemented an accelerated release plan, so preparing for it now only makes sense. “There may have already been internal discussions within the department about what would be done, but it just makes sense to have a formal request by the Legislature so that it doesn’t get lost in the shuffle,” he said. The department’s plan must be delivered to the Legislature no later than Dec. 1, 2018.